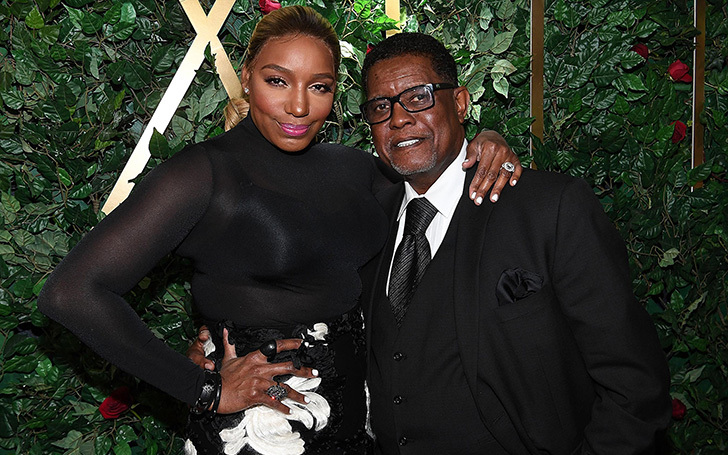 NeNe Leakes addressed 'we'll just have to see' when the reunion host Andy Cohen host asked if she thinks about saving her troubled marriage with her husband Gregg Leakes. "Yeah. He gets on me about revealing a lot of things." The couple who's been struggling about their affair since a long time revealed that they are still at odds and sleeping at separate rooms in their residence. 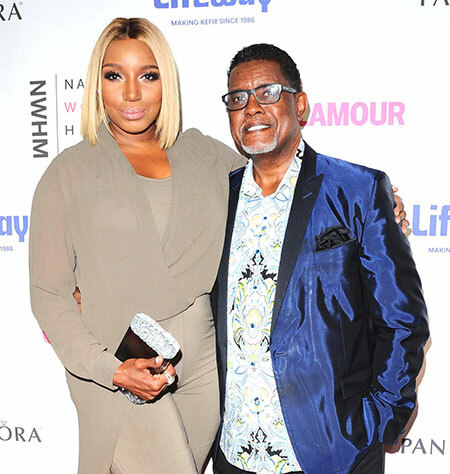 NeNe Leakes and her husband Gregg Leakes attending an event together. "I can’t tell you anything that I’m going to do. I feel like I have been pushed up against a wall and I’m coming out as ‘no.’ … Anything is possible, we just have to see." It isn't the very first time the pair suffered in their marital relationship. The couple who tied the knot in 1997 managed to be together until 2010. After a series of terrible fights that played out on RHOA's third season, they finally separated with an official divorce the following year. Despite major ups and downs, they decided to remarry in June 2013 at an event that was filmed for her spinoff, I Dream of NeNe: The Wedding. While everything seems to go well between the two, it's Gregg's negative attitude towards his struggle with third stage colon cancer that's creating issues in their marriage. "I would just think if I have or had cancer, I would see life so differently! Not being mean, grouchy and evil for no real reason! But that’s me. Pray for me." She was harshly criticized for what she commented about her husband. She was also backlashed to be insensitive. "It was difficult at times. I’m not a poster child for kindness." "Nobody’s perfect. There was some times, but most times it was on me." Meanwhile, he stated his public apology with his wife with a hope to save their marriage via Instagram post. "I’m tired of hurting my wife who is only trying to take good care of me and wants only the best for me too. She deserves much more for her hard efforts and tireless hours spent on me. I pray to God to get it together… she’s done NO wrong… this is ALL on me. Cancer will change your life." While most assume that Gregg's following the negative path just because of his health condition, his cancer battle might be the reason why they are still together. "It would be easy to make a decision about divorcing Gregg if he didn’t have cancer. I don’t want to live my life unhappy." Though they ultimately admitted that life without one another is not possible, Gregg said that they might not be husband and wife but best of friends at the end. Following the RHOA union, Gregg and NeNe have been together. As she recently celebrated six months of chemotherapy treatment earlier this month, let's see what's on the way for the duo! For How Long David Rubulotta Married To His Wife Erin Burnett? How Many Children Do They Share?